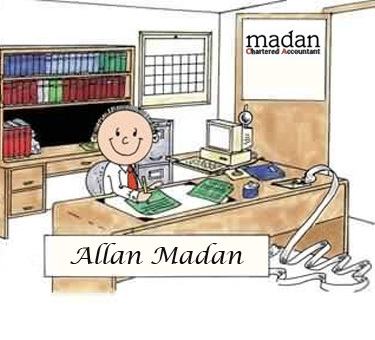 Home Accounting & Management Greetings from Allan Madan! Whether it’s tax advice, preparing your financial statements, or help with big business decisions, we are the accounting firm for you. Our team is made up of Chartered Accountant and Certified General Accountant in Toronto & Mississauga. We are large enough to help our clients with complex problems, yet small enough to provide personal attention to each of our clients. Somas is a Certified General Accountant. Prior to joining Madan Chartered Accountant in Mississauga, he worked as a financial analyst for a multi-million-dollar logistics and distribution company. Mahfuz has several years of experience in public accounting and is working towards becoming a Certified General Accountant. Prior to joining Madan Chartered Accountant in Mississauga, Mahfuz worked for another mid-sized accounting firm in the Greater Toronto Area. Adam is very knowledgeable in the area of taxation and has obtained his Bachelors of Commerce and Master of Management & Professional Accounting from the University of Toronto. Prior to joining Madan Chartered Accountant in Mississauga, Adam worked for another mid-sized accounting firm in the Greater Toronto Area. Look forward to reading your blog and getting smart in time for TAXES! I was wondering if you could answer a question regarding my real estate investments. I have two condos – one I purchased 6 months ago, one 2 years ago. I want to sell them both so I can purchase a house. Will I get taxed on the capital gains of the condos even though I am buying a house with the money? Also, are there any other taxes or financial commitments I must make? Thank you Michael for your question. As an Accountant in Toronto, I can tell you that the gain on your 2 condos will likely be considered to be a capital gain. Only 50% of a capital gain is taxable. Therefore, if your gain on the sale of the condos, after subtracting legal fees and commissions, was $100,000, then the taxable portion would be $50,000. Even though you are using the proceeds from the sale of the condos to purchase a home in which you will live, the gains on the condos will still be taxable. (I have assumed that you did not live in any of those 2 condos, and that they were rental properties). The principal residence exemption exempts the gain on the sale of your home (in which your reside) from tax.